Shopping for DC Comics Mugs? Stargirl looks amazing as a Justice League Bombshells pin-up, and now she's on your mug! This 11oz Morphing Mug transforms from black as hot liquid is added! Watch as the heat-activated process reveals the hidden image of this great DC Comics character in full vivid colors! 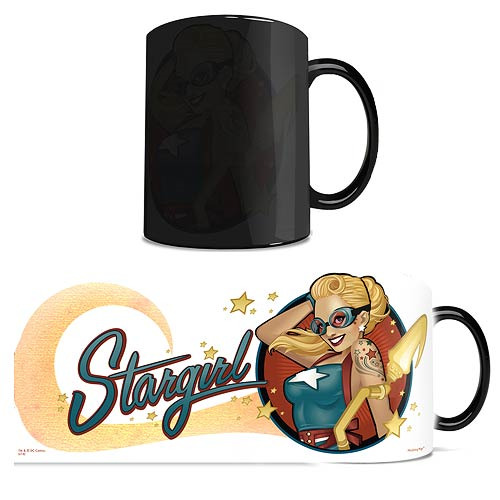 The DC Comics Justice League Stargirl Bombshells Morphing Mug makes a great gift for DC Comics fans. Hand wash only. Not dishwasher safe.